I've known Jennifer Freitag from The Penslayer, and consequently her novels, through blogging for quite a while now. 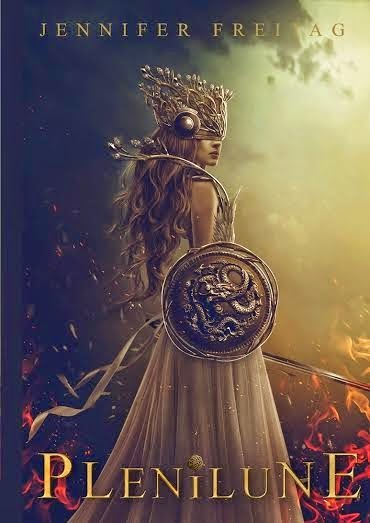 It's my pleasure to participate in the cover reveal for her upcoming novel release, Plenilune! Jennifer is a very talented and prolific writer, and I've enjoyed reading her blog posts over the past few years. Jennifer's novel's settings and aesthetics sound exquisite, and her attention to detail in all her writing projects is something I look up to. 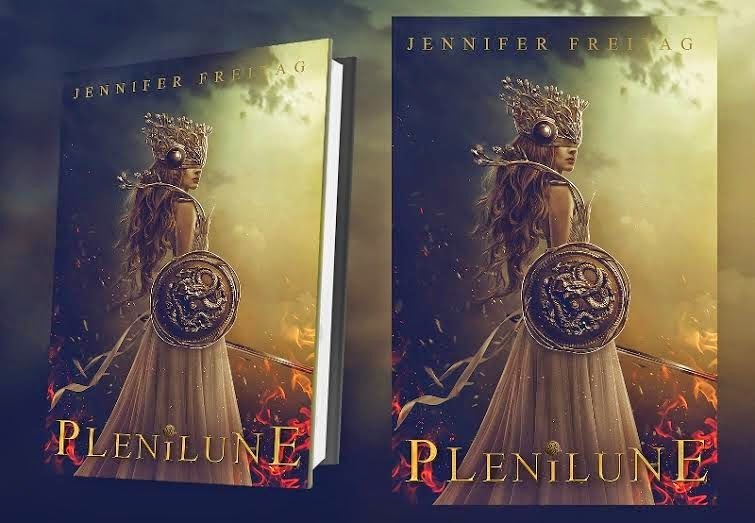 Plenilune is one novel I remember hearing about on Jennifer's blog for quite some time now, and I'm excited she's releasing it to the public! Plenilune is a planetary fantasy, a genre which you can read explained by Jennifer here. Plenilune will be released OCTOBER 20th. And now for the cover. The fate of Plenilune hangs on the election of the Overlord, for which Rupert de la Mare and his brother are the only contenders, but when Rupert’s unwilling bride-to-be uncovers his plot to murder his brother, the conflict explodes into civil war. To assure the minds of the lord-electors of Plenilune that he has some capacity for humanity, Rupert de la Mare has been asked to woo and win a lady before he can become the Overlord, and he will do it—even if he has to kidnap her. En route to Naples to catch a suitor, Margaret Coventry was not expecting a suitor to catch her. JENNIFER FREITAG lives with her husband in a house they call Clickitting, with their two cats Minnow and Aquila, and their own fox kit due to be born in early December. Jennifer writes in no particular genre because she never learned how, she is make of sparks like Boys of Blur, and if she could grasp the elements, she would bend them like lightning. Until then, she sets words on fire. Living with her must be excruciating. You can check out Jennifer Freitag's blog, The Penslayer, as well as the Plenilune Goodreads page, for more information. And don't forget, Plenilune releases October 20th! Oh my god, this cover is really amazing. I would have picked the book up without even reading the synopsis. Please give me moreeee.